The memorial garden of Sakae Tsuboi is a very disappointing artwork, if you can call it an artwork. I don’t really like to call this memorial garden art but as a memorial garden it is a really nice place. My expectations of what I went to see were completely different to what I did see and that is why I was left with an unhappy experience. I’m not sure I would really call it a good match for the Setouchi Triennale but it is a good match for Shodoshima. Sakae Tsuboi is a very famous author who wrote Nijushi no Hitomi, or “24 Eyes”. It was a novel that takes place on Shodoshima and follows a teacher during the rise of the ultra-nationalists prior to the war and up to the end of World War II. Sakae Tsuboi was born in Sakate, and probably in the same location as the memorial garden. The connection of Sakae Tsuboi, her novels, and the island makes this a very fitting memorial for her but there is a lot left to be desired. 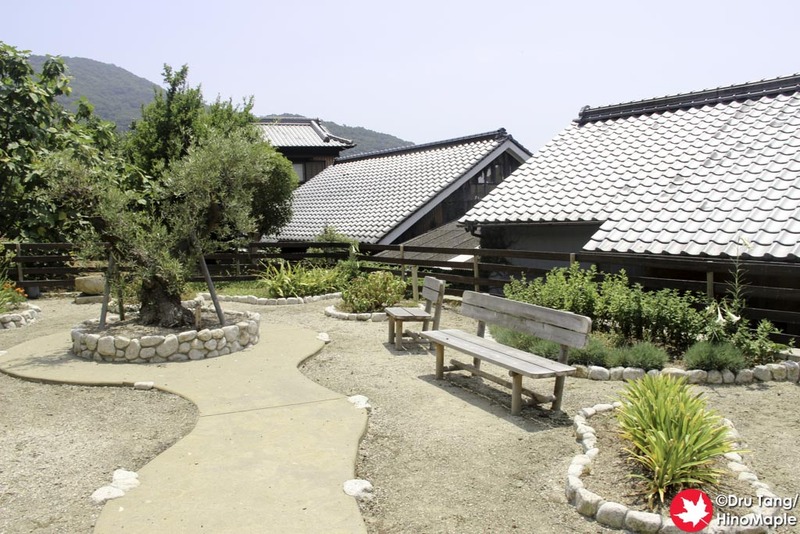 Literally speaking, the memorial garden is a small plot of land that had Sakae Tsuboi’s childhood home. It was razed a long time ago and when they converted it into the memorial they planted 10 flower beds so that there would be flowers blooming all year. 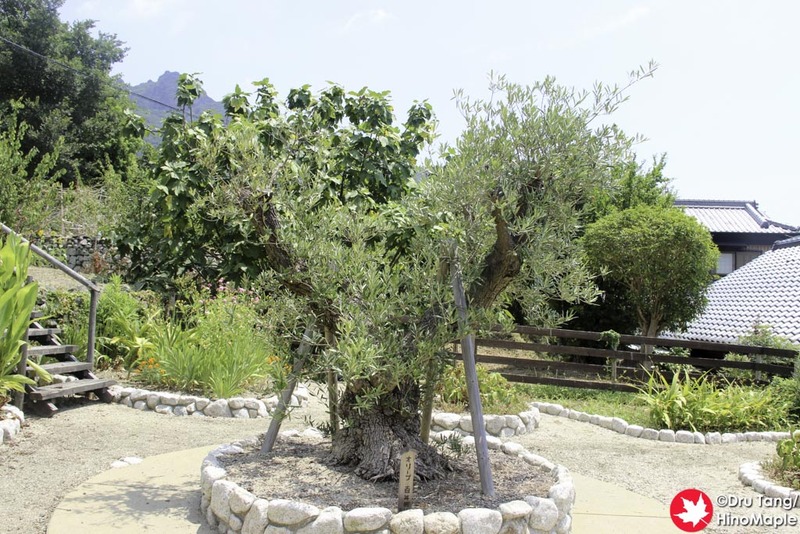 The central feature of the garden is a 100 year old olive tree that has been a symbol of Sakae Tsuboi’s life as it was born around the same time as her and represents her in terms of age. I felt that the garden was really nice but didn’t fit well with the Setouchi Triennale. When you go from some of the most artistic and expressionistic artworks to something as plain and simple as this memorial garden, you are bound to be disappointed. With the crazy Beat Shrine nearby, you have to forgive me for being let down at this “ordinary” garden. While this may be the case for how I feel about the garden, I am still happy to see it and if my expectations were more in line with what memorial garden is, then I’m sure I would have loved it a lot more. 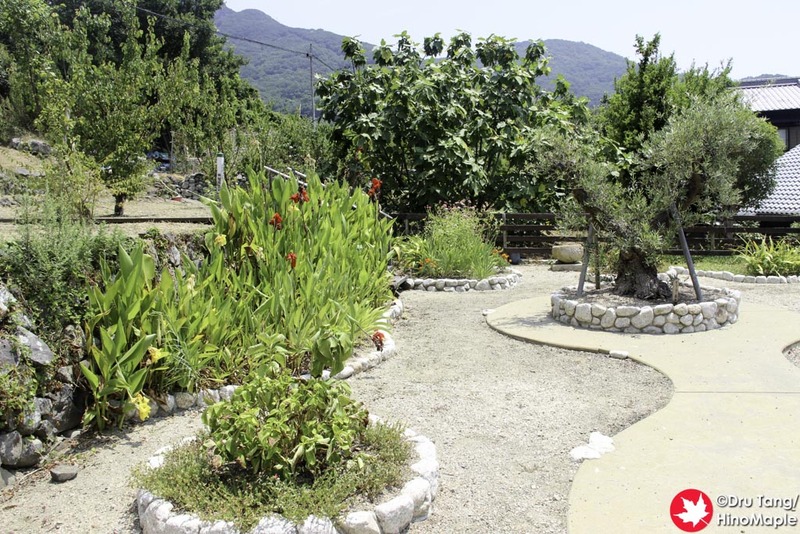 This entry was posted in Setouchi Triennale and tagged 24 Eyes, japan, Nijushi no Hitomi, Sakae Tsuboi, Sakate, Setouchi Triennale, Shodoshima, The memorial garden of Sakae Tsuboi by Dru. Bookmark the permalink. I agree with you. It’s a nice garden, even a moving one when you think of Tsuboi and her works, but it’s a bad fit for the Triennale, and I’m not too sure why it was included in it, except maybe having people visit it (but having them bound to be disappointed as well).